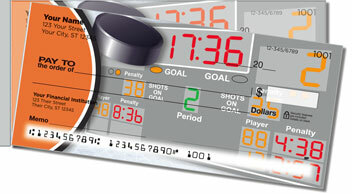 If your favorite NHL team is the Philadelphia Flyers or Anaheim Ducks, why not try these stylish Orange & Black Hockey Side Tear Checks from CheckAdvantage? 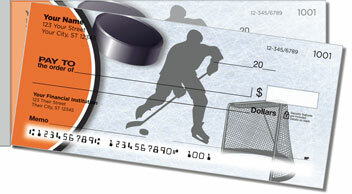 Our hockey-themed checks are so cool they're cold! 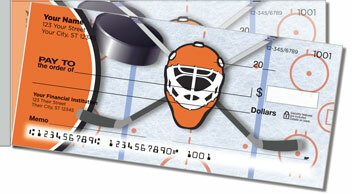 And though your bank may offer official NHL checks, do you really want to pay for those expensive licensing fees? This design is also the perfect choice to show support for your kid's orange-and-black youth league team, too! Plus, our handy side-tear format makes these checks a terrific value because they won't rip in the wrong place when you separate them from the pad! 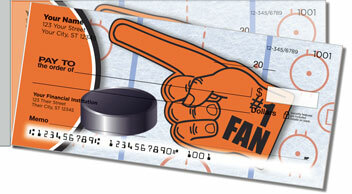 So don't delay -- personalize your own Orange & Black Hockey Side Tear Checks today!